Founded in 1995, the Poling-Cutler Marine Transportation Company began operations near the time the former Poling Brothers Transportation Company went out of business. The founders of the new company were Edwin Poling, whose grandfather started the former Poling Transportation company. And Gary Cutler, who spent years working in the financial world before getting involved in the marine transportation sector. Based in Freehold, New Jersey. 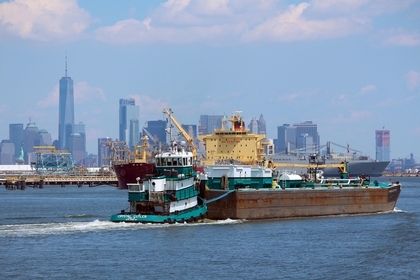 Poling-Cutler's vessels are based out of the the piers at Caddell'sl Dry Dock and Repair Company in Staten Island, New York. Poling Cutler's growth was based on the acquisition of several older vessels either directly from the previous iteration of the Poling Transportation Company. Or at auction, as it went through bankruptcy. The company's operating model has evolved from operating aging motorized tankers, with one small oil barge. To exclusively tug and barge operations.